Now that you’ve brought your new baby home, it’s normal to still feel somewhat detached. This is a crucial time to start bonding with your sweet little one. Bonding is especially is very important for babies as it gives them a sense of security and allows them to develop better mentally and physically. They don’t have to focus on their worries so much because they’re confident that you will care for them. 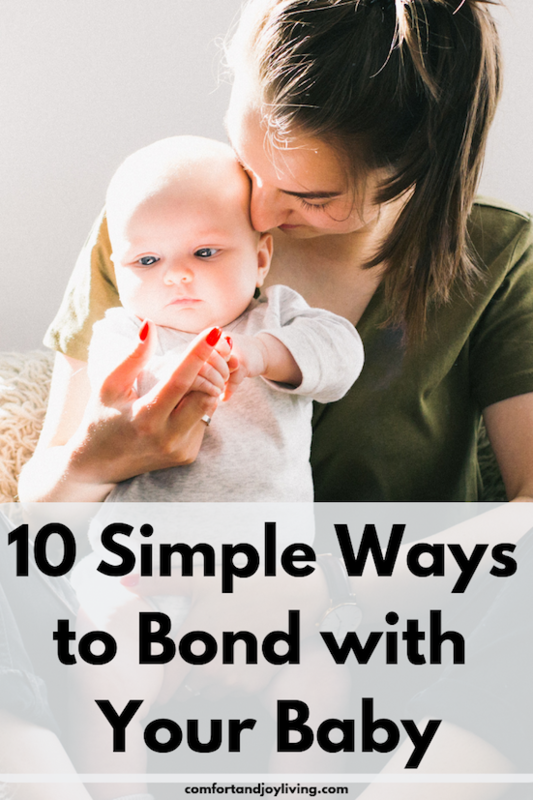 Bonding with you can be easy for your baby, but it may be harder for you to bond with this new little “stranger” in your life. It’s completely normal to feel complete attachment immediately, within days or even much longer than that. For parent whose babies that had to be kept in the NICU or who’ve been adopted, it may take even longer to bond. Don’t feel guilty about it. Bonding is a process and is just a matter of some time and patience. Many parents find that bonding is a result of plain old everyday care. Kangaroo care is something that parents whose babies were in NICU may be most familiar with. It involves skin-to-skin holding of the baby. This allows your baby to absorb your body heat and can simulate the sounds and feelings of the womb. It’s very calming for your baby as they can hear your heartbeat. For parents, Kangaroo care stimulates bonding and promotes attachment. It can also increase the milk supply in breastfeeding moms. Feeding your baby at all will definitely promote bonding, however breastfeeding provides a greater bonding opportunity. It was amazing to find out that the distance a newborn can see clearly is exactly the distance to your face when they are breastfeeding. This means that while you’re watching your baby nurse, you’re also most likely the only thing that your baby can truly see. How wonderful is that! Bottle feeding, however, also gives dads the chance to get in on some baby’s care. This is the perfect opportunity for him to have the chance to bond, as well. No matter how you’re nourishing your baby, formula or breastfed, this is a great opportunity to just enjoy each other’s company and to know each other. Investing in a great carrier not only allows you to get more things done, such as housework, while your baby stays calm with you, but it’s also a great bonding opportunity. The closeness of baby-wearing is amazing. It’s recommended as part of SIDs prevention to have your baby sleep in the same room as its mother, but on a separate sleeping surface until 6 months of age. Having a bedside bassinet or a cradle can keep your new baby close and allow you to respond quicker should the need arise, which increases your baby’s confidence in you. Talking to your baby is an essential part of bonding. You can simply talk to your baby by telling them what you’re doing throughout the day, or sit with your baby facing you and tell them a story. A gentle massage—with or without baby lotion—is a great way to soothe and bond with your baby. Gently massaging can also provide relief for a colicky baby. When your baby is on the floor for tummy time, get on the floor and face your baby to encourage bonding and physical contact. The housework can wait. When your baby is awake and alert, take advantage of that precious time to hold and comfort your little one. A warm bath—provided that your baby is calmed by bath time—gives your baby a bonding experience through an everyday care routine. By establishing a bedtime routine at this early stage, you’re not only helping your child settle into this healthy habit, you’re creating bonding time through reading books together, rocking and singing lullabies. Remember that the bond between you and your baby will form naturally, these are just some tips to help you along.